WASHINGTON -- An army appeals court has ordered the military to stop its regular practice of referring to Private First Class Chelsea Manning as a man. Nancy Hollander, Manning’s lead attorney, applauded the court's decision. “This is an important victory for Chelsea, who has been mistreated by the government for years," she said in a statement. "Though only a small step in a long legal fight, my co-counsel, Vincent Ward, Captain Dave Hammond, and I are thrilled that Chelsea will be respected as the woman she is in all legal filings." Manning shared hundreds of thousands of classified documents with Wikileaks, including some that revealed apparent war crimes, and in 2013 was sentenced to 35 years in prison for espionage and other offenses. In a Feb. 9 brief, Army Capt. Daniel Goldberg argued for the government that Manning had provided no explanation of how her request would "serve the interest of justice." 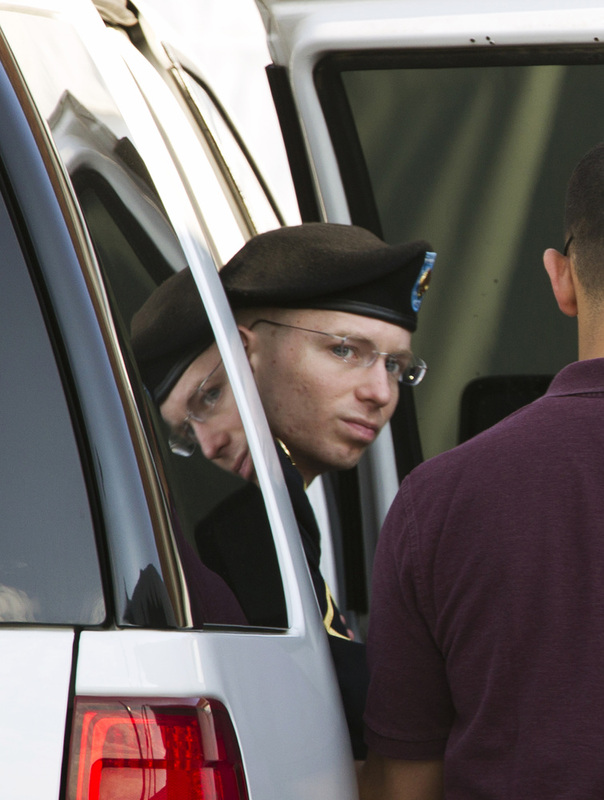 Goldberg said that "to avoid confusion," the government wished to continue referring to the appeals case by the unwieldy title of "Private First Class (E-3), BRADLEY E. MANNING (nka CHELSEA E. MANNING)." He said the government intended to continue using masculine pronouns "[u]nless directed otherwise by this honorable court." ACLU attorney Chase Strangio, who is representing Manning in her effort to get medical treatment for gender dysphoria, praised Thursday's court decision: “The court rightly recognized that dignifying Chelsea’s womanhood is not the trivial matter that the government attempted to frame it as. This is an important development in Chelsea’s fight for adequate medical care for her gender dysphoria. That fight continues but at least the government can no longer attempt to erase Chelsea’s identity by referring to her as male in every legal filing." The military is still objecting to her request to grow her hair out, as other female prisoners are allowed to do. The ruling comes at a time when military leaders may be poised to revisit the ban on transgender troops. Just weeks into his job, Defense Secretary Ashton Carter said last month that he's "very open-minded" about transgender military personnel. The White House later endorsed Carter's comments.